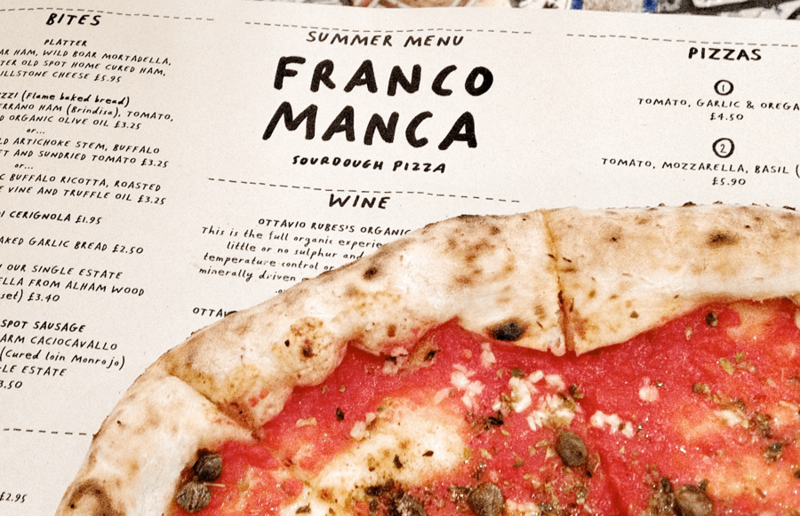 There’s a lot of talk about authentic Italian pizza but somewhere which actually hits the spot is Franco Manca. 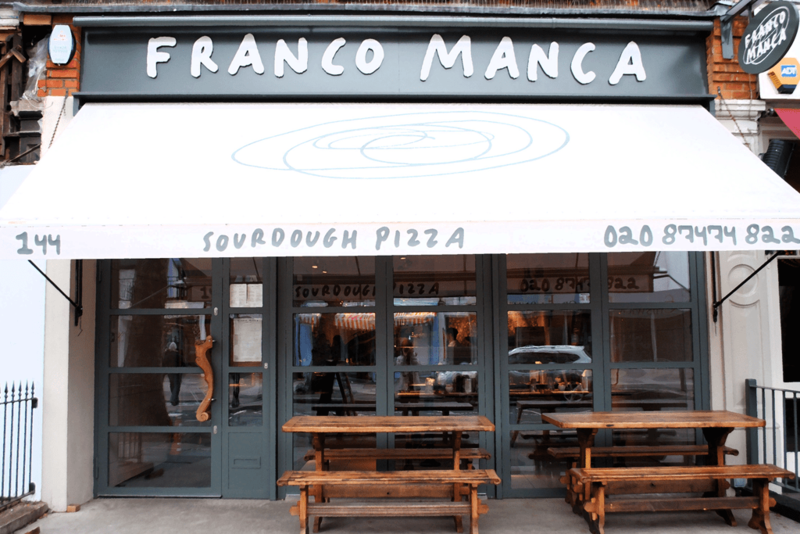 Started as a local pizzeria, Franco Manca ticks all the boxes. It’s authentic yes, but it’s also the most affordable and best value for money chain you’re going to find. Fact. The pizza is made from slow-rising sourdough and is baked in a wood-burning ‘Tuff’ brick oven made in Naples by a specialised artisan. This oven produces a heat of about 500°c (930°F). Their way of cooking pizza was originally developed by Greek settlers who, in the 5th century BC founded Neapolis (New Town). They adapted a pre-existing baking tradition to develop this new ‘Pita’, which through experimentation, luck and linguistic distortions, became pizza. I recently visited with friend Dean, and whilst I have previously ordered Franco Manca to take away, have never sat in. Their new London Bridge restaurant is friendly, smart and fits perfectly into the foodie spot which is London Bridge. With Borough Market one side, and a plethora of shops the other, you’re often stuck for choice. Once plated, instead of being faced with a doughy, American style sugar filled pizza base, you’ll notice a thin, crispy delight with a woody, smokey flavour. Whilst the dough is crisp on the outside, inside it was soft and chewy with air bubbles giving it room to breathe. When was the last time you actually enjoyed the base of a pizza and not just the toppings? Price wise, it’s also hard to beat. Priced between £4.50 and £6.90 and with a simplistic menu, it’s perfect for date night, a quick dinner or a lunch time treat. Far better value than a Pizza Express or Zizzis’. There’s six pizzas on offer, with additional fresh toppings offered via their chalk board.